I travel every 2-3 months, sometimes in a month period I will be gone more than I am home. Because of this, I struggle to stay on schedule with my workouts and my stretching. I don't think I travel well. I have to spend at least a day to recuperate! I am sitting in an airport right now (yay, LAX!) on my way to Panama City, Panama. 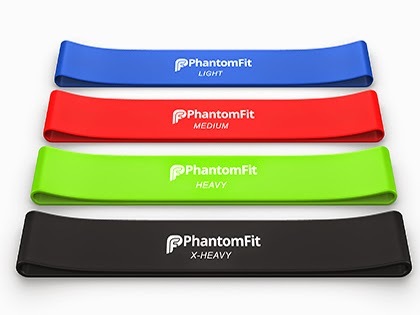 I have been gone for 8 days now, and I have to tell you that the PhantomFit resistance bands are awesome. They are super lightweight, and barely take up any space in your luggage (yes, I checked two pieces of luggage, one 50# and one 39# -- whenever I come back to the states I stock up on things that I cannot find in Panama). Because I had surgery on my shoulders, I have to keep up with certain rotator cuff exercises. These work perfect for that. I use the medium one for certain exercises (the red band) and the blue one for others (you don't want to go too heavy on your rotator cuff). Then I can use the heavy band for other leg and arm exercises. These are super easy to use in a hotel room or guest room (wherever you are staying). And don't forget the pushups and planking, too! hahah! Now you are set to keep your muscles strong even when you are away from home! Since I don't have any kids and don't have any local grocery stores around me, I asked a friend of mine back home to review the Meals By The Week menu planning and grocery shopping list creator. If you have a hard time planning your meals, or even thinking of ideas of what to create -- then you have probably heard of menu planning. There are quite a few services out there, but from a little research that I did, not many of them have the features that this does! One thing that it offers is special diet substitutions (Paleo? Gluten Free, anyone?) And you can scale it down or up depending on how many people you are feeding that particular day. Hi there! Arienne here, of The Martin Multitude! Today I’m reviewing Meals – By the Week, a menu planning service online. 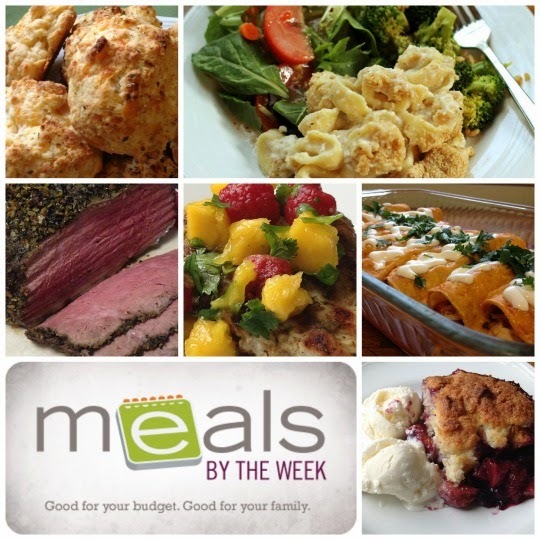 Meals – By the Week (MBTW) is an amazing service overall. The things I was most concerned about were tastiness of the food and friendliness to my wallet. I was not disappointed. The premise of MBTW is to provide menus and the accompanying shopping lists based on what is on sale at stores in your area. When you sign up, you can pick the store you want to be updated on, and they have a pretty good list based on regions. There are also menus based on the way you eat, from cutting calories to cutting meat. In my free trial, I had access to two menus, Walmart (the store I chose) and Meals in Moments. I love that you can pick how many people you’re feeding for the week (2,4,6,8) and also that you can double any particular recipe if you want leftovers or are feeding extra people one day. You can even skip adding a dinner to your list if you know for sure you’re eating out or some such thing. And the food is amazing! They try not to repeat meals more than once every 4-6 months, so it’s always something new, which I love. And within the week there is variety too. Including sides, the meals are well-balanced, and some even have gluten-free modifications when it might take more than just substituting GF products for the regular stuff. And it’s all really yummy. There are some challenges which you need to consider. It isn’t SUPER-frugal. It will save you time and money, but depending on which menu you choose and what modifications you need to make, it won’t always be the cheapest option. For instance, they didn’t have my local store, Smith’s, on their list, so I chose Walmart. However, Walmart doesn’t have sales, and to get the price-matching, I still need to go through my own local store ads. So I don’t save as much time or as much money as someone who shops a store with its own coupons. Another drawback is that the list doesn’t include breakfasts, lunches, or snacks, so you still have to plan those on your own. That being said, it is still an amazing service, and it would be worth your time to at least look at a sample menu and see if it might work for you. If nothing else, maybe they will inspire you! I use it mostly in my smoothies with a scoop of hemp protein powder and fresh fruit. (Hemp doesn't taste good to me so this helps mask the horrible flavor. Replace your morning coffee with this green tea, and not only will you increase your antioxidants by 100x (compared to coffee) the caffeine in the green tea is slowly absorbed -- giving you the boost you need, but not the jittery let down afterward. No peak and crash! 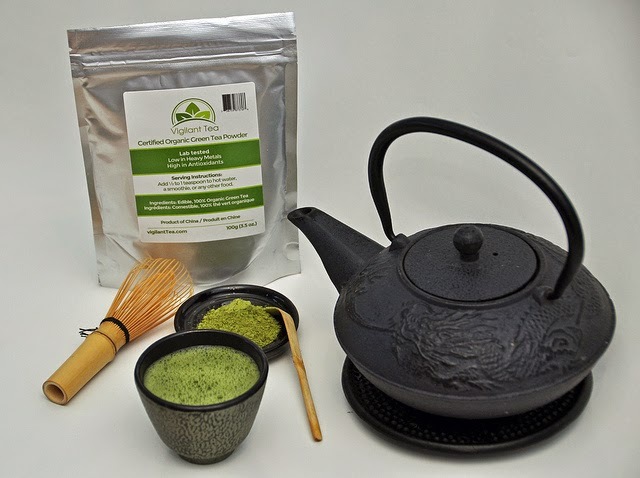 You will feel natural energy throughout the morning with many more health benefits than drinking just regular green tea as it is loaded with ECGC (epigallocatechin gallate) which is widely recognized for its cancer fighting properties. Burns calories -- the metabolism boosting properties of green tea is one of the main reasons why many people drink it. Vigilant Tea separates itself in quality for both rigorous lab testing which ensures the lowest toxicity levels(no heavy metals) and the best taste they can find. They have obtained organic certification to ensure optimal nutrition. So go ahead, experience the natural calming and peace that comes while you consume VigilantTea in your favorite food or drink! 1. I have arthritis in my SI joint and in my right hand, due to an injury. I also have arthritis in my right heel, but it has not been acting up lately. My hand only acts up occasionally, but my SI joint is the worst. TEST: I tried this on my SI joint morning and night for a week. The pain decreased by about 50 percent within 15 minutes. This is great. I also tried this on my hand when the pain got to be bad one day this past week. THAT worked almost immediately and I only had to use it once. 2. I have bursitis in both hips. It is worse on the right side. I have gotten cortisone shots, and have used so many things in the past to help decrease the pain. Nothing has lasted. I have been through physical therapy, changed my diet, strengthened the area, been to rolfers and chiropractors. And still it is extremely painful. This is my biggest complaint of chronic pain in my body, as it affects me when I stand, when I walk, when I sleep. TEST: I also tried this on my hip bursae and even down my IT band twice a day for the past week. It did NOT decrease the pain by much. Maybe 10 percent. It took the edge off the shocking pain and made it a strong, dull ache. My recommendation: If you have arthritis, I think this Nervana cream by Protoge would be great for you. If you have hip bursitis like I did, then I don't know if it will work for you. About the product: Pain Relief Cream NERVANA has quick acting ingredients to help with pain, to soothe sore muscles and even blocks pain signals. It is formulated to stop pain in its tracks. It did do that for my arthritis pain, but not my bursitis pain. It is supposed to reduce inflammation (which it might have, as inflammation is what causes arthritis, and it worked for that; but also bursitis is caused by inflammation of the bursae). It contains essential oils, GABA, and willow bark. The essential oils that are in this product are mint, eucalyptus and tea tree. I think that they need to add wintergreen, as that is a pain reliever as well! The anti-inflammatory ingredient is cetyl myristoleate. And GABA acts to slow the nerves transmission of pain. Another plus is that it is made in the USA, without parabens, sulfates or phthalates, which I avoid. I would not have used this product and not did a review if it had those ingredients in it. What do you get when you mix anxiety, high PM cortisol levels, and chronic pain? HORRIBLE INSOMNIA. For so many years I used to wake up shortly after I fell asleep, only to experience anxiety attacks. After pretty much conquering those with meditation and affirmations and prayer, I am still waking up in the middle of the night, not being able to go back to sleep. About 18 months ago I found out why: Adrenal fatigue was manifesting itself with super high cortisol levels at night. Night time is when your cortisol levels should decrease. What is one of the ways to heal your adrenals? BY GETTING MORE SLEEP! Kind of hard to do when you CAN'T STAY ASLEEP. HAH! What a conundrum. Earthing Sheet. This has been helpful -- I think. I know that I notice that I don't sleep as deeply when I am not using it. This helps to protect against the EMFs that may disrupt someone's normal sleep patterns. Serenity Sleep Meditation. This MP3 that I listen to with ear buds is probably one of the best factors in getting to sleep and sleeping through the night. I am going to write a blog post about it in the near future to explain how it works. When I do not use it because I forgot to charge the batteries on my little MP3 player, I wake up in the middle of the night like normal, but can't seem to get back to sleep. When I listen to it before bed, I am always able to get back to sleep! Detox foot pads. These suckers are amazing. Sure, they are my own product but even before I created Purify Your Body and started selling my own version, the ones I purchased helped me to sleep better. Every little bit helps and when my body is doing its normal detoxification process during the night like it is supposed to, then it contributes to a good night's sleep. Some of my customers even say that they put them on their kids when their kids have a hard time sleeping. It works like a charm! Essential oils. I am not going to name any brands because I hate the brand wars going on, but I do not use any MLM essential oils. Not because they don't have good products - I am not going to judge on that - but I personally choose to not use any MLM products. I use a night time relaxation blend. Chamomile tea. Oh yes. Numi is my favorite brand of tea and one that I trust to not have any chemicals or toxins in (read this article from Food Babe on how horrible many teas are for you). I would also recommend an epsom salt bath if you could fit one in your nightly routine. I don't have a bathtub right now so this is out of the question for me. Cool night temperatures. We moved to a mountain home we are renting in El Valle, Panama. Before, we lived on the beach where at night we were trying to sleep at 80 degrees F in our bedroom. Very hard to sleep at that temperature. Here in the mountains it gets in the low 70s or even high 60s at night. PERFECT! Enerphos. This is one that my naturopathic doctor has put me on to help with my adrenals. It is mineral based. Cortisol Manager. This is also one that will help control my adrenals with adaptogenic herbs. Melatonin. I have been taught that if your body doesn't need melatonin, it won't work for you. It seems to work for me as I notice a difference between nights I don't take it, and nights that I do. I take a time-release 5mg one. There is a new supplement that I just started. It is called NaturalSleepX. I received it to review, and have taken it for about 7 days. It has all natural ingredients, including the melatonin (When I took this I did not take my regular melatonin). It also has GABA, 5-HTP, some amino acids, lemon balm, chamomile, valerian root and more. All good things that are known to help you sleep. After taking NaturalSleepX I didn't sleep as well, even using my earthing sheet. I do not know why, as I was looking forward to it working well enough for me to get 8 hours of sleep. I do have a friend who has been having trouble sleeping lately so I let her try some. Seriously, she told me the next morning that it worked AMAZING for her. It is a decent product -- one that I would recommend to everyone, as it is affordable, and has ingredients that I approve of. But my thoughts are that it will work better for someone that has occasional bouts of insomnia, not chronic insomnia with adrenal issues like I have. I am flying to visit my family in a week and I am going to let my sister in law try it. She has insomnia as well, and I want to see if it works for her. I also sleep with my dog and cat on my bed. Sometimes it makes it uncomfortable (my dog seems to think he can take up 3/4 of my space), but when he isn't there I wake up in a panic wondering where he is and if he is ok. I also have tried Ambien. Honestly, it worked a few times, but the potential side effects are not something I want to have to worry about. Too much to worry about already and it is only in extreme cases that I take pharmaceuticals. But, it is there if needed. 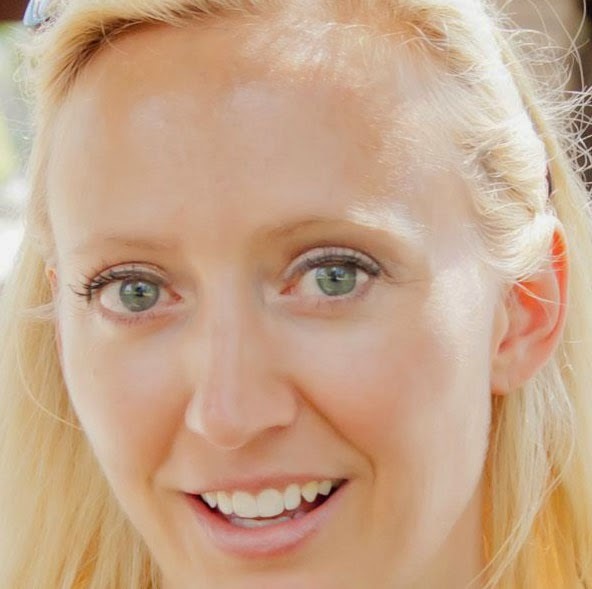 I want to share my experiences and tips about genetic testing. Eventually I also want to write a post about MTHFR and methylation issues, but it is an extremely complex topic and I am not an expert on it. I have gathered a ton of research but am procrastinating putting it all together. So for right now I am going to tell you what I did, and then recommend to you what to do. 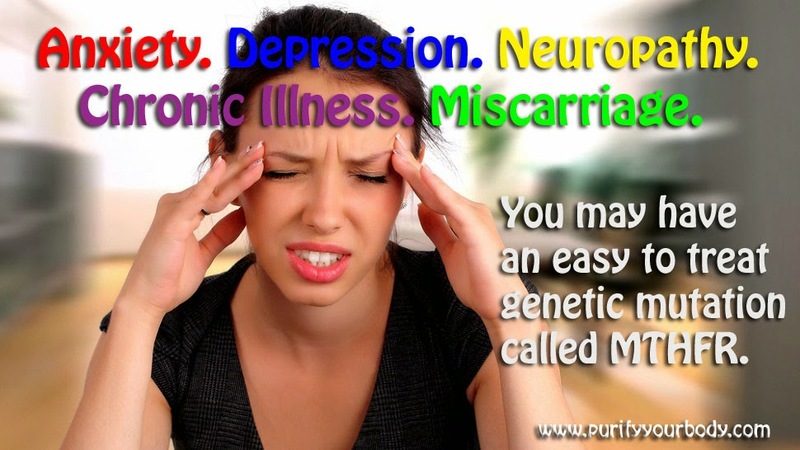 Then you just may have genetic mutations that are affecting your physical and mental health. Now, let me tell you what I did. First, my naturopathic doctor recommended me to get tested for the two common MTHFR genetic variants A1298C and C677T. I paid $140 to get tested via the lab at the clinic. I was not shown to have any mutations on those two genes. But the symptoms seemed so much like what I had!! And then I read that there are over 51 MTHFR / methylation genes. Well, only testing two of them isn't any good, right? So, I went ahead and ordered a complete genetic test at 23andme.com and it was SO amazing. There was an FDA ruling back in November that made them unable to display your inherited disease risks anymore, but everything else is still the same. Once you get that raw data, I ran it through Sterling's App at www.mthfrsupport.com for $20. Then, I got my raw data in a form that made sense to me. 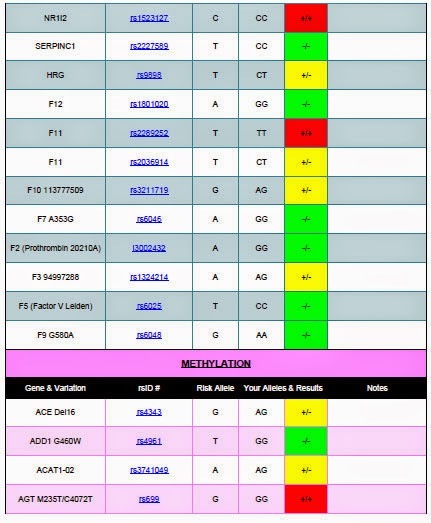 It was a spreadsheet in PDF format that listed all the categories that affect methylation (including a section that contained 51 methylation genes -- of which 37 of them I was homozygous or heterozygous mutated!). Things started to be a lot more clear to me. But I still didn't know what to do, or what it all meant exactly. What did all those reds mean to me (the reds are homozygous, the double risk allele, and the yellows are heterozygous with only one risk allele). So then I set up an appointment with Sterling Hill, who is the founder of www.mthfrsupport.com. For only $100 she did a Skype call with me and explained all those yellows and reds, and what they meant. Now I am understanding a bit better! All of this cost me under $220. What a steal! But I do have some opinions on this matter, and please realize these are only my opinions. 1. Even if we have genetic mutations (the risk alleles in our DNA) does not mean they are expressing (ok this is fact... my opinion is coming don't worry ). 3. I think... ok here is my opinion, lol.... that when you have a leaky gut (i.e. exposure to toxins, vaccinations, etc) they can trigger an autoimmune response that then can trigger the expressing of these genes.... therefore, autism may ensue, schizoprenia may ensue, anxiety attacks (holy cow that is me). Also, other things may trigger these genes to express, including trauma, long illness, stress, possibly vaccinations (which is a whole other subject I don't dare get into -- but it makes sense -- people say vaccines cause autism, but maybe there is a small amount of truth -- maybe the vaccines just triggered a genetic response? Maybe that explains why some people do seem to become autistic after the vaccines.... it is just a trigger, not a cause). 4. The GAPS diet, along with other "fix your gut" protocols, can actually make the gene "unexpress" (so this has been proven as well, that you can CURE celiac's disease -- and autism, and severe food allergies, etc). This doesn't mean that your genes have changed, but that you have fixed the issue that makes them express those health characteristics. 5. You also can "fix" the genetic expressions by supplementing... for example, with an MTHFR genetic mutation expressing, you are usually unable to convert certain B vitamins into their active forms... by taking active B vitamins (methyl folate instead of folic acid, for example, or methylcobalamin vs. cyanocobalamin -- B-12) you can reduce the symptoms. Isn't this stuff just fascinating? I sure think so! And be prepared to find the missing piece to your health puzzle -- the one you may have been struggling with most of your life! 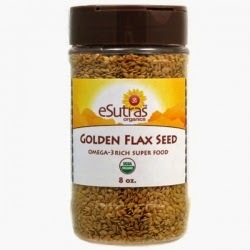 Flax seed is one of the best superfoods you can purchase. I was able to get some to try out and report how I liked them. First of all, the taste is very pleasant -- way better than eating hemp seeds, which I am not fond of. 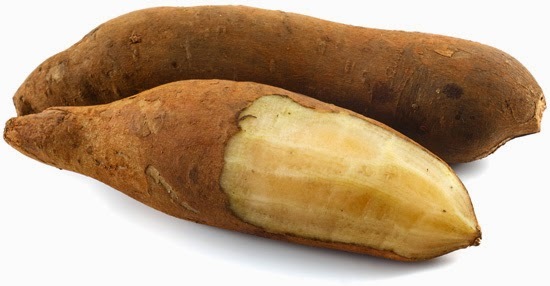 It is a very inexpensive superfood that can be used in many ways in your daily life. You can grind them if you choose, and add them to hot cereal, cold cereal, smoothies, etc. I just put some on top of my yogurt, didn't bother grinding them. But if possible, you should grind them. Beautiful skin is something that we all seem to want (mostly women, of course). And there are many ways to get it -- going under the knife, and using toxic chemical products that are superficial, that although they may give you the skin you want, the long term side effects are not so good to your overall health. 5. Using over the counter skin care products that are natural, and that work. One thing I do not do is put chemicals on my face. Before I accepted the Body Merry Age Defense Eye Cream for review, I had to take a look at the ingredients. Many botanical ingredients, and soothing oils, retinol, witch hazel, and more. Definitely ingredients I can use on my skin. So I tried it for a couple weeks and was impressed. However, I am very sensitive to smells and the natural scent was a bit overpowering for me. My husband and some friends really liked it... but I get sick just smelling a vanilla bean! So that is the ONLY thing I personally didn't like about this product. This cream is perfect for your eyes since there are no harsh chemicals and it is made with natural and organic ingredients instead. 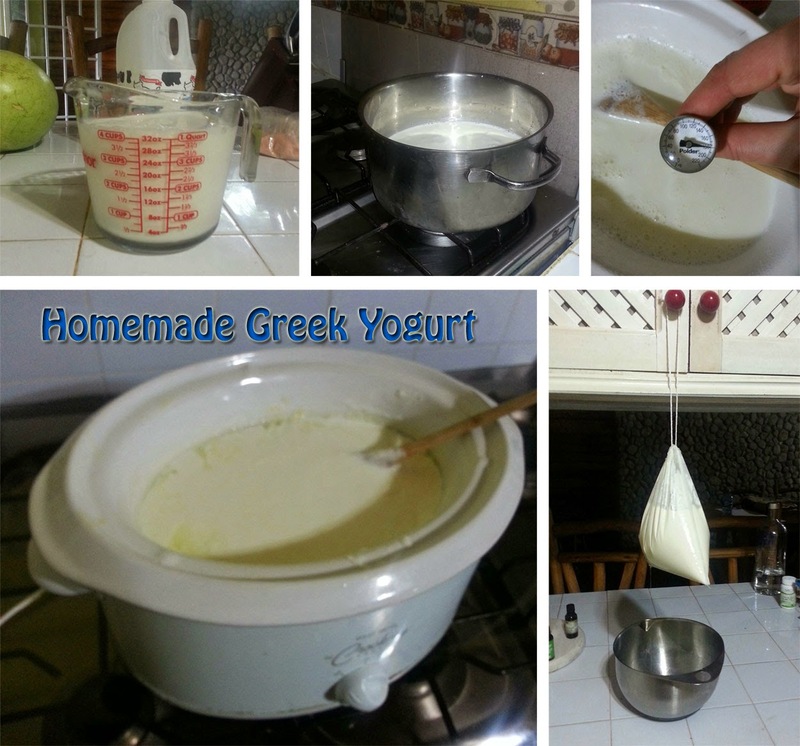 Here is a pretty easy way to make homemade yogurt. Currently I don't have access to raw milk, so I have used the grassfed milk from the store. It is pasteurized, but will suit our purposes just fine. 1. I used 8 cups of whole milk. I replaced 1/2 cup of milk with heavy cream. 2. Heat up the milk to just under boiling. I usually do it around 180 degrees F, but you could go up to 212 degrees. 3. Cool down the milk -- you want it about 105 degrees (plus or minus a few degrees is going to be ok). I use a candy or meat thermometer to test it out. 4. Use 4 tablespoons of starter culture from another batch (plain yogurt with LIVE cultures, organic is always best). The rule of thumb is 2 T of culture per quart. Since we are doing 2 quarts, then we will be doubling it. Stir briskly with a whisk. 5. Stay at the 105 temp for 4-12 hours. (I usually go for 6 hours). I have mine in a crockpot with the lid off, and the thermometer in so I can keep an eye on it. I turn it on low for 15 minutes, then turn it off for about an hour. Since I work from home this is easy for me to keep an eye on. Others use the oven with the oven light on. They turn the oven to "warm" for 3-5 minutes, then turn it off, put the yogurt in there, and leave the light on. Sometimes I have even used a heating pad. There is no right or wrong way. 6. Pour the yogurt into a nut milk bag (you can use cheesecloth if you want but a nut milk bag is SO SO SO much easier!) I hang it up on the knob of my cupboard and put the bowl underneath it. This strains out the whey, and what is left is the Greek yogurt. If you don't want to have a thicker yogurt, then you don't need to strain the whey out. You are good to go! Tip: Save the whey. Add it to smoothies for extra whey protein boost, or use it as a base for mashed potatoes or in soups. Your furry friends will also love having a little bowl of whey to drink as a treat! 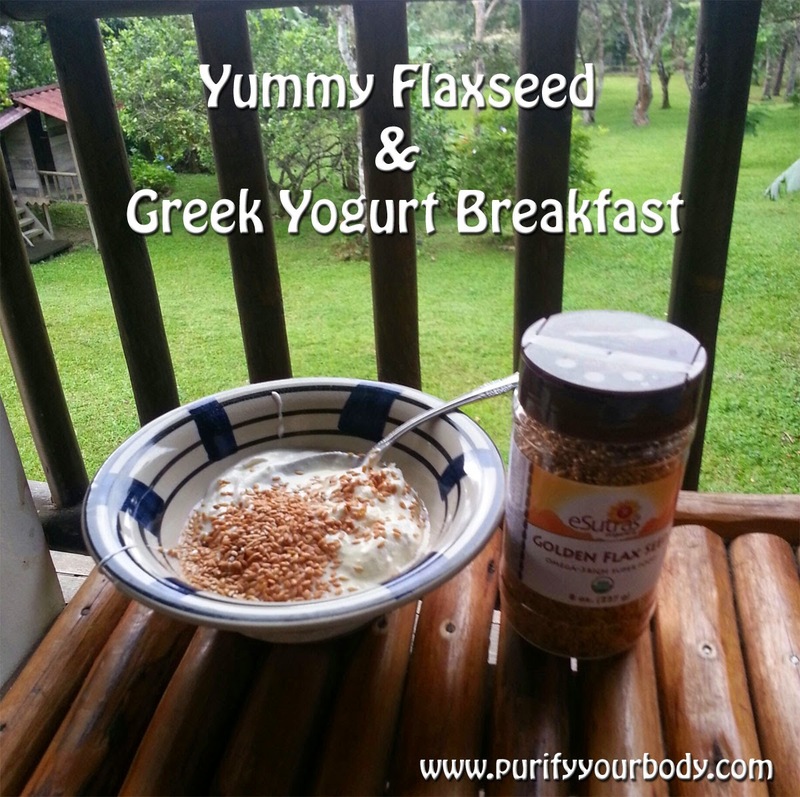 I will sometimes put flax seeds or chia seeds as a topping for my yogurt. I used to use wheat germ but am gluten free now. 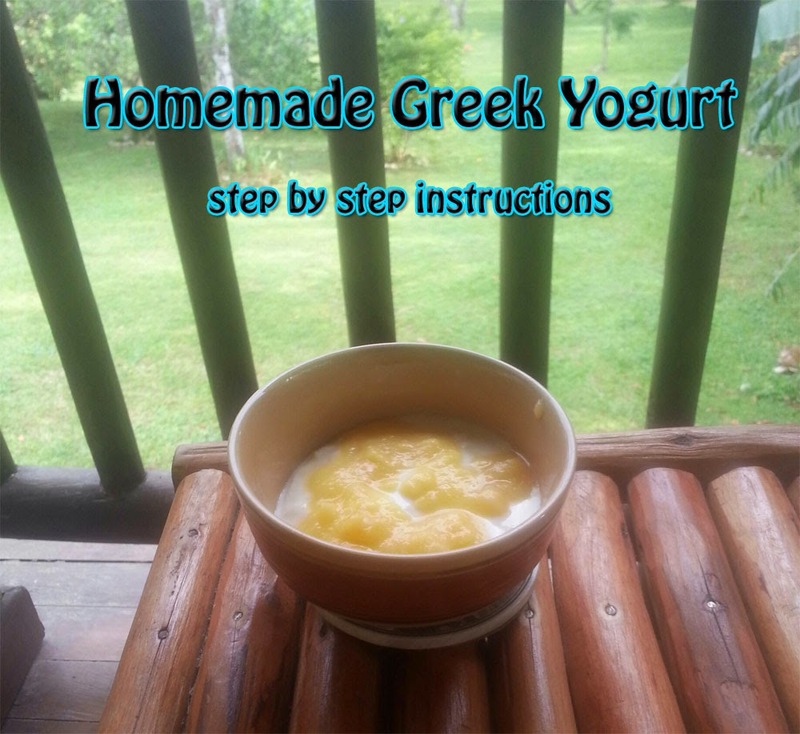 I also recently made a fresh homemade pineapple syrup and you can see I mixed some of it in with my yogurt. Oh wow, it is awesome! To order the nut milk bag I used to strain the yogurt, click here or below. It is super easy to clean, and lasts a long time so you can use it over and over. I have a ton of higher quality gadgets in my kitchen and they have proven many times over that they are worth their weight in gold. I have waterless cookware, an industrial strength KitchenAid mixer with a gazillion attachments, including an ice cream maker!! I have high quality knives, a German crock for fermenting vegetables,a nice bread maker, juicer, blender, pasta maker, and various cooking utensils that are very high end. But I always ended up with plastic measuring cups. And the markings ALWAYS seem to disappear on them. See that picture above? Doesn't that make you feel sorry for me? 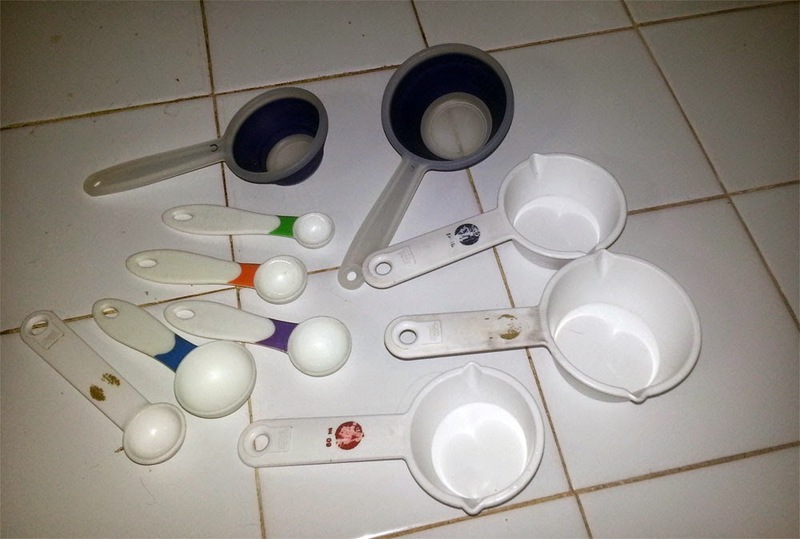 That is my collection of measuring cups. 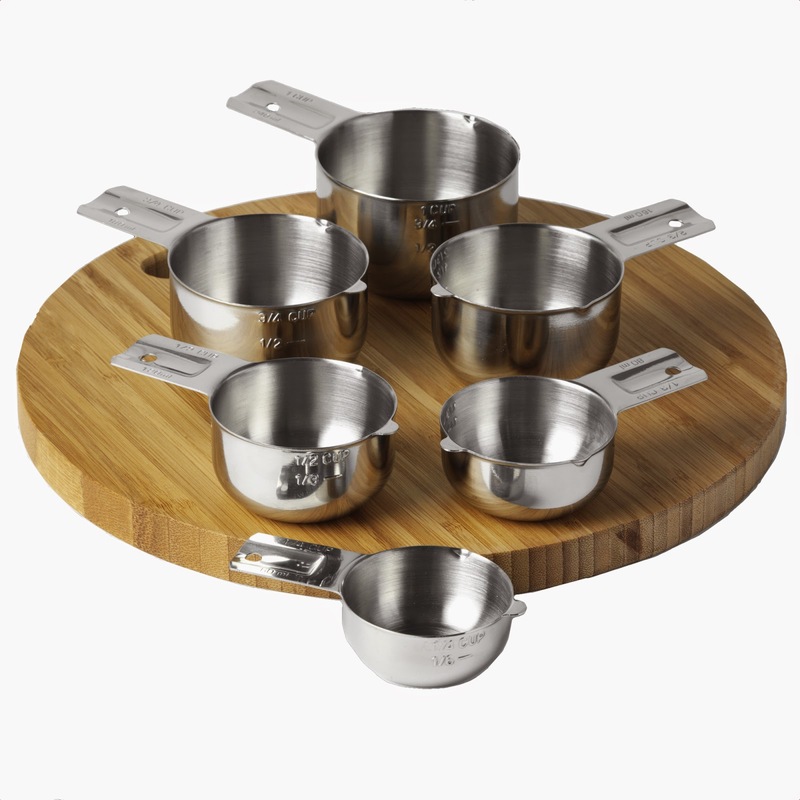 So I finally got an amazing set of stainless steel measuring cups. Yes, they are gorgeous. They are heavy duty, as well, have some real weight to them. And they have the cup sizes etched into them so I will NEVER mess up my recipes because I used a 1/3 cup instead of 1/4 cup. These are definitely a product that I would recommend. They would be fantastic for a wedding gift or bridal shower gift, a Christmas stocking stuffer, or even just for yourself! Free recipe book was included! I have to go cook now!